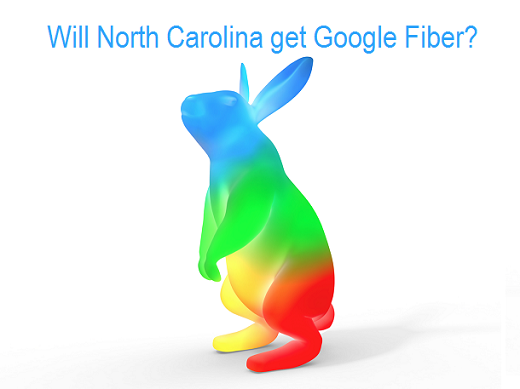 Home → Business → Will North Carolina get Google Fiber? FidoNet is a worldwide computer network that is used for communication between bulletin board systems (BBSs). My first experience online was on a Commodore 64 and a 300 baud modem. Things back then were SLOW. This was the late 1980s. In the early 90’s I finally got my own computer with a 2400 baud modem. I dove in head first. 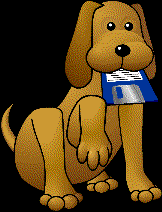 Within a half a year I was running a very popular BBS, providing Internet email, hosting VirtualNET, FidoNet, you name it, I was involved. In the late 1990s I was out repairing PCs, securing networks and getting ready for fiber. I wanted to know absolutely everything about networks. In 1999 I became a certified fiber optic cabling specialist. I thought the boom was near. In 2000 a lot of fiber was laid, then, the industry collapsed. North Carolina Next Generation Network (NCNGN) is a regional initiative focused on stimulating the deployment of next generation broadband networks in North Carolina. The coordinated effort is led by six municipalities and four leading research universities and supported by local Chambers of Commerce and businesses in the Research Triangle and Piedmont regions. February 1, 2013 the NCNGN offered an RFP inviting one or more private companies to build and operate the desired fiber networks. This list is not conclusive. I may have missed some providers who provide 1,000Mbs+ data. Also, there are multiple providers using fiber but then using coax the last mile. They are not included. Also note, some of these providers only provide Gigabit Internet to small areas of metros – others, such as Google Fiber, do not provide anything here yet. For the triangle, the 3 to keep an eye on are Google, RST & AT&T. February 19, 2014 Google announced that they are looking at several new cities to expand into with Google Fiber. In North Carolina, the cities were Charlotte, and then the triangle/RDU/central area of the state. Raleigh, Durham, Carrborro, Cary, Chapel Hill, Garner, and Morrisville, make up metro areas named by Google as potential locations for a Google Fiber high-speed internet expansion. March 11, 2014 RST Fiber activates 3,100 miles of underground fiber. On April 8, 2014 the NCNGN unanimously approved a resolution recommending that its members seek authorization to enter master network development agreements with AT&T. June 10, 2014 Google beings hiring community impact managers for Google Fiber for RDU & Charlotte. June 10, 2014 Winston Salem strikes AT&T deal. June 13, 2014 The City of Durham has reached an agreement with AT&T to deploy an ultrafast Internet network as part of the NCNGN initiative. June 18, 2014 The City of Raleigh has reached an agreement with AT&T to deploy Fiber. June 20, 2014 Town of Cary has reached an agreement with AT&T to deploy fiber. June 24 2014 Chapel Hill strikes AT&T deal. July 30, 2014 AT&T announces it will deploy in Charlotte and is eyeballing Apex and Garner, NC. November 28, 2014 After a brief pause AT&T has the green light again and has signed non-exclusive contracts with the cities of Raleigh, Durham, Cary, Chapel Hill, Carrboro and Winston-Salem for the NCNGN network. December 18, 2014 Google has announced it may be 2015 before a decision is made on the Triangle. January 26, 2015 WRAL announced Google will almost definitely be getting Google Fiber. The effects of gigabit Internet remains yet to be seen. AT&T GigaPower initially plans on only deploying Gigabit speeds to neighborhoods where there will be enough subscribers to justify the cost. Google Fiber offers “free” broadband Internet to residents in the area which it services. This is outstanding as it makes the Internet more accessible to people who could not afford a high speed connection. The FCC states that students with broadband Internet at home have a 7% high graduation rate. Reliable broadband Internet changes entertainment, gaming, television, and how patients interact with doctors far away – it saves lives! I am all for anything that makes the Internet more affordable and more accessible. Len: What is your name and what do you do? David Mantica: My name is David Mantica. My profession is president executive. The company I work for ASPE. We’re a division of Fortis College. ASPE is a business-to-business for-profit training company and Fortis College is a business-to-consumer for-profit secondary college. Len: Can you remember the time when there was no Google? David Mantica: Can I remember a time when there was no Google? I can absolutely remember a time when there was no Google. I can remember the noise of the dial-up modem [inaudible 0:00:34] clicking in and allowing me to then potentially VPN to read my e-mail and potentially go to Netscape to do some browsing. That what we used talk about it back then, browsing. When I was doing that, browsing was all very URL-specific and so, I was looking at different URLs I knew of and doing some reading and research very specific companies that I had to do reading and research on. Doing email, email communications, and maybe some light web development. That was the early stages of what I was doing before Google. I’m very focused on the browser side of things and browsing specific URLs I know off the top of my head and written down or gotten from a magazine that I wrote down. Len: How did people use Google when it first came out? David Mantica: How did people use Google when it first came out? Certainly, I can remember using it and when it initially came out, I really looked at using personally to instead of having to know the URL to actually type in the specific company I was looking for. The bigger the company, more [inaudible 0:01:46] that they would actually have a web presence. Instead of having to remember specific URLs, I can go ahead and research a specific company and then look at that company, get information on that company. Occasionally, I would research specific products, look up very specific information. Not necessarily thinking that all the information was available, but just trying to find what might be out there in that specific topic. The internet was smaller when Google first came out, so in a lot of cases there was communities more so than just trading aggregate contents. I would search those communities and then find information at those community sites or I was looking for specific companies. Len: How do companies use computers and the internet now? David Mantica: How do companies use the computer and the internet now? I’d look at how companies use the computer and the internet right now, I’d say number one is mobile commerce. Now, it’s just mobile commerce, but e-commerce. Number two I would say they use it for marketing, marketing purposes, driving business to their companies’ website, driving business to even to their call centers. Then three, they use it for communication purposes, internal communications. Whether that’s going to be Skype. Whether that’s going to be messaging. Whether that’s going to be email. Companies are using it for internal communications. They use it to provide services to their customers in the way of customer service, in the way of information about themselves and offer that information up so customers can get it easily, which that will help reduce their help desk and their customer service cost from the physical basis. Then they use it for sharing information, knowledge management, other data storage devices in the Cloud or on their client’s server that’s inside their data center type environments. They’re using it for data storage, data retrieval. They’re using it for commerce, e-commerce systems. They’re using it for communication; inter office and extra office communication and they’re using for marketing purposes. Len: How do people use computers and internet now? David Mantica: How do people use computers and internet now? I think that’s a really important question as it relates to [last mile 0:04:03] technologies. I think people use it for socializing. Believe or not, the younger generation really look to Facebook and Snapchat and Twitter as socialization tools and you’re seeing more and more of that. People also use the internet and their computers for information gathering as it relates to researching maybe a product they want to buy which then ties right into commerce. These [inaudible 0:04:30] for commerce. People use it to provide directions and give directions. People are using it for personal financial needs. Then, they’re using it to work from home, VPN access in their corporate environment so that they can actually do work from home. There’s a lot of different ways that people are using it. The last [way 0:04:48] they’re using it depending on their bandwidth capabilities, they’re using it for entertainment purposes. Mainly through their either Dish or Comcast or Time Warner or U-Verse or getting video-on-demand services. That’s what a vast majority of people are doing through their provider. Len: How could that change with Google Fiber? David Mantica: Wow! How could that change with Google Fiber? Well, Google Fiber can do some amazing things for us, both from a at-home perspective and a business perspective. Let’s look at the business perspective side. I think first and foremost it’s about inexpensive last mile inexpensive bandwidth of the internet. People can move their hosting to their corporation. Corporate locations that even have to host at the cloud if they [could find 0:05:37] backup. I know cloud is hot right now, but there are some [total calls 0:05:40] of ownership issue with the cloud that people have to look at. I think primarily business have see an opportunity for video conferencing, interoffice communication as well as distance learning over videos. You have video distance learning, video conferencing, reducing travel budgets, providing knowledge and information about their products, their customers, and doing internal office meetings and internal distributed team meetings over video conferencing. Maybe even doing that [high dev 0:06:08] or high quality audio. We also did jokes about conference calls these days, audio-based conference calls. There’s a funny one going around right now and video does reduce those awkward situations in audio conference calls and then doing a [high dev wise 0:06:24] could be incredible. On the personal side, I think that’s even more significant. At the at-home user with that type of upstream and downstream bandwidth that Google Fiber would provide can do a vast array of thing that they might not normally be doing. From file sharing associated with video clips and as well as pictures and digital photographs, to uploading digital photographs and video. From there, from video conference at home, we’re actually communicating with loved ones. It’s much more of a travel [inaudible 0:06:59] society now, so people don’t live in the same communities they were brought up in. Allowing that video conferencing face-to-face in high definition at home could be pretty amazing. But I think the primary driver for Google Fiber would be home entertainment. Really connecting into things like Hulu, services like Amazon Prime, services like Netflix, whether using your [inaudible 0:07:20] or Apple TV and/or a new provider that may come out and offer video over IP services that bypass the monopoly of the cable provides and offer much reduced pricing as it relates to home entertainment. There’s a lot of net neutrality stuff going on the last mile related to Netflix and complaints by those legalized oligopolies; the Comcast, the Time Warner about how much space Netflix and some of the video providers take up. At home, we love it. We love on-demand. That’s we’re consuming now and so, I think folks are going to push back if there becomes pressure to increase cost because of the bandwidth issues and Google Fiber will allow a company come in and just bypass those folks and throw it across the IP network instead of over the cable network from the last mile perspective through Google Fiber and be able to provide much lower cost to on-demand videos. That would be an exciting business opportunity for Google Fiber. It will also be great for at-home consumption because that’s what’s happening now. Len: Do you have any final thoughts? David Mantica: I think in general, when you look at the demographics of the [inaudible 0:08:32] marketplace, you see a highly educated marketplace. Over 20% of the population here has an advanced degree of some kind which drives folks who would utilize this technology both personally and for business purposes. We have a very rich and vibrant [entrepreneurial 0:08:51] community here. Not only in research trying a part, but also into the [tobacco 0:08:56] road area for Durham and also downtown Raleigh who could utilize this technology to begin providing cloud services, to begin providing home entertainment services. If you really have to look at a cool demographic that could really provide an interesting case study for a new last mile technology like Google Fiber, I think you can’t pick anything better than the Raleigh-Durham metropolitan marketplace. Thank you.